You are driving your car and suddenly your EPC light is displaying (Often together with the Engine light) on the dashboard. Will it damage my engine? Is it dangerous to drive with? How much will it cost to repair my car? We are getting a lot of questions about the EPC light from our customers. In this article, you will learn what the EPC light is and how to fix it and how much it would cost. What does the EPC Light mean? The EPC Light indicates that there is a problem in the Electronic Power Control(EPC) System. This problem is often related to your throttle body system but it could also be a problem with your brake(ABS) system. The light is often showing up together with the Engine, ABS or ESP Light depending on where the problem is located. The Electronic Power Control system is included with the engine control unit, brake control unit, transmission control unit and the steering control unit. 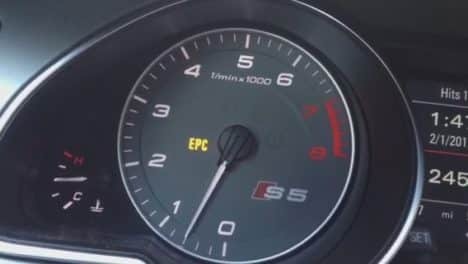 The EPC Light is most likely showing up in your VAG car like Audi, Volkswagen(VW), Skoda or Seat because they are the manufacturer that have the EPC system. The EPC Light can be found in other cars if they are using Volkswagens EPC system. What are the possible causes of an EPC Light? Because the EPC Light is working together in a lot of different systems in your car, it is hard to guess where the problem is. The EPC light is often showing up with other warning lights and the other warning lights may give you a sign of where the problem is located. The EPC Light can often cause your car to go into “Limp mode“. Limp mode is a state where your engine functions are limited, such as limited RPM, low power etc. If you want to learn more about the Limp mode you can check out this article: Limp Mode. To get the exact fault and a proper answer of how to fix your EPC light, You have to read the trouble codes from your car. When the EPC Light is on, it means that there are one or several trouble codes stored in one of your control units. You have to start with checking the engine control unit, ABS control unit, steering control unit and transmission control unit. To read the trouble codes, you need an OBD2 scanner. You could either drive to a mechanic workshop and let them read your trouble codes, or you could to it at home with your own OBD2 scanner. The OBD2 scanners do not often cost a lot and if you are interested in getting one you can check it out here: OBD2 scan tools review. The most cheaper diagnostic scanners can only read the engine control unit. Because this problem could appear in several control units, it’s recommended to either get a more advanced scanner or let a workshop read the codes from the other control units. If you have checked the trouble code memory and got a trouble code but do not know how to fix it, you are welcome to post the trouble code on our homepage and we will answer your question. You can also check our OBD2 code list to see if you could find any information about the code there. Is it dangerous to drive with the EPC Light on? You should always fix your EPC Light as soon as possible. When the EPC Light is on, it means that there could be several limited functions with your car. Because the EPC Light is integrated with the steering and the brake system, it could not only cause engine damages, it can also cause serious accidents because of limited brake or steering functions. When the EPC Light appears on your dashboard, you should drive the closest way to a mechanic workshop to take a look at it as soon as possible. The EPC Light is often limiting your cars engine power and other functions to drive slowly to the closest mechanic workshop without issues. In the most cases, the EPC Light won’t cause damages to your car if you are driving with it, but because it is limiting functions like the ABS and EPC systems, it is not recommended. The EPC Light indicates that there is a problem with the Electric Power Control(EPC) system. You should always visit a workshop as soon as possible and not just ignore the problem when the light occurs. The EPC Light is integrated with a lot of other control systems in your car. It may cause loss of the ABS and EPS System and cause accidents if not fixed as soon as possible. To fix an EPC light problem, you should always connect an OBD2 scanner and check the trouble codes that are stored in the system. The Electric Power control system is made by VAG and the EPC light is not integrated with other manufacturers cars. (Only if the car is using VAG’s system). 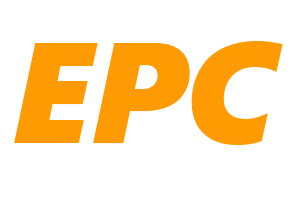 If you have any other questions that you want answers for about the EPC Light or want us to know how you fixed your problem, comment down below. If you have any other automotive related questions you are welcome to ask them at our homepage. I have 2009 Audi A3 1.8T. It has EPC light as well as “do not exceed 4000 rpm”.